Use the form below to check the status of your Early Voting Ballot. To see if you are registered at a former address, click here to use the "Voter Registration Status" page. 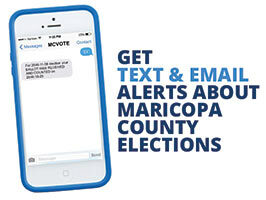 Click here for City of Phoenix Runoff Election.